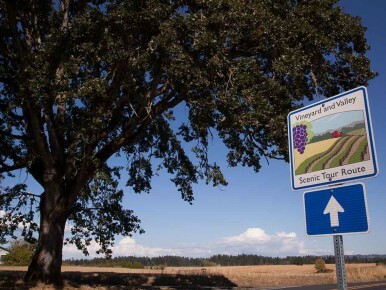 When it comes to “soft adventure,” Tualatin Valley is king. Miles and miles of pathways–accessible to all–help to connect visitors to protected nature. 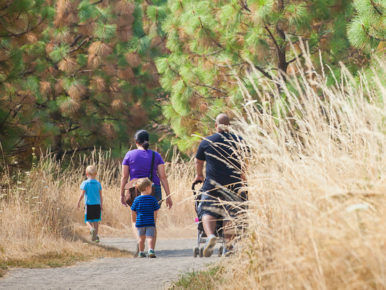 These nature walks showcase the valley in all its beauty, and are all part of Tualatin Valley’s vast array of open spaces, wildlife corridors and lowlands that showcase the region’s diverse ecosystem. 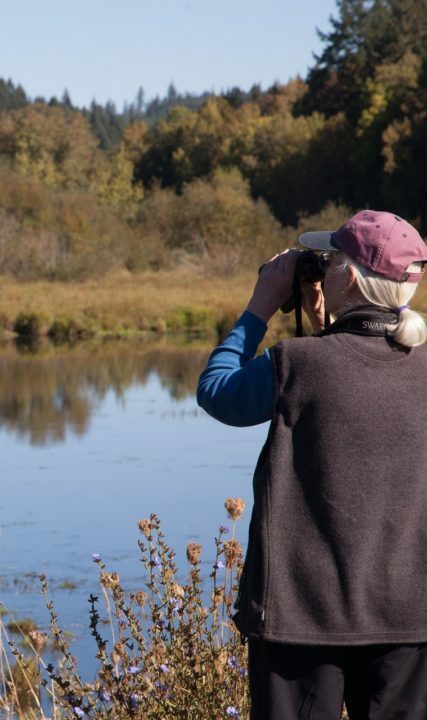 Tualatin Valley’s newest nature park, Killin Wetlands, offers 370 acres of lush habitat for flora and fauna, and is a vibrant location for bird watching, as well as for spotting beaver, river otters and elk. Walk the trails and take in views of the rolling hills and wetlands. Located outside of the small city of Banks, Killin Wetlands also boasts a quilt block, “Doves in the Window,” as part of the Quilt Barn Trail of Tualatin Valley. Cooper Mountain Nature Park features 3.5 miles of nature trails that wind through several distinct native habitats, from conifer forest to prairie to oak woodlands. With spectacular views of the Chehalem Mountains and the Tualatin Valley, the park features a demonstration garden showcasing native and drought-tolerant plants. The park also is a popular spot for wildlife viewing and nature walks. Located near Gales Creek, just outside of Forest Grove, the 600-acre Fernhill Wetlands boasts a variety of open water sources providing safe haven to eagles, hawks, herons and migrating waterfowl, as well as beavers, minks, otters and many other species. 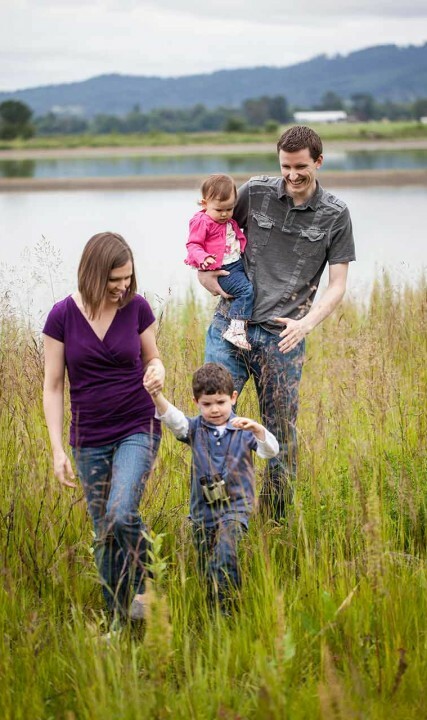 Approximately 1.25 miles of trails, raised dikes and two viewing shelters provide unobstructed views of the wetlands.The crowning jewel of Fernhill Wetlands is the ADA-accessible Water Garden featuring graceful wooden bridges and a great view. 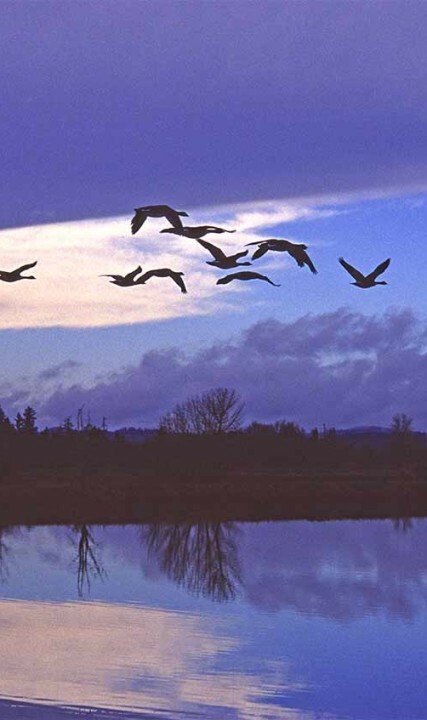 Tualatin Valley is smack-dab on the Pacific Flyway, which runs from the Arctic tundra to South American wetlands. 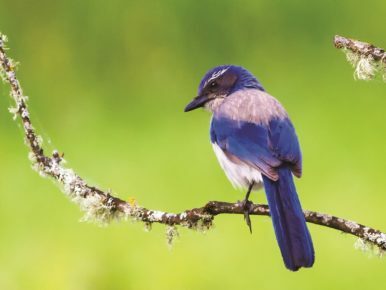 Each year, millions of birds migrate along this flyway, bringing many species of birds to the valley during spring months as they return north from their long winter vacations. Tucked inside Beaverton is the Tualatin Hills Nature Center, a 222-acre wildlife preserve featuring evergreen and deciduous forests, creeks, wetlands and ponds. The park features 1.5 miles of paved trails and 3.5 miles of soft-surface trails, and is home to a variety of birds, mammals, reptiles and insects. Red-tailed hawks, blue heron, deer, squirrels, rabbits and reptiles are commonly sighted in the park. Jackson Bottom Wetlands Preserve is a 635-acre wildlife preserve with 4.5 miles of trails and picture-perfect views. Open year-round (although some trails may close), the preserve is a complex of wetlands and uplands within the Tualatin River floodplain. Jackson Bottom also is home to indigenous and migratory birds, such as bald eagles, egrets, red-tailed hawks and a host of mammals. Located in Sherwood, the 7,370-acre Tualatin River National Wildlife Refuge is a sanctuary for indigenous and migrating birds, waterfowl and mammals. Operated by the U.S. Fish and Wildlife Service, the refuge is one of a handful of urban national refuges, and includes various restored habitats that best represent examples of depleted habitats in the Willamette Valley. Walking trails in the refuge include a one-mile trail open year-round and a three-mile service road open from May-September. NOTE: Admission to the trails is free. Trails are open from dawn to dusk. To protect the wildlife and natural vegetation, bicycles and pets are prohibited on most nature trails listed above.